Kathy has been making art quilts since 2003. During that time she has won numerous awards including two first place awards at the Houston International Quilt Show and a Best in Show at Quiltcon 2015. She has the distinguished honor of being a finalist in the prestigious Quilt National 2009. She has also had several solo exhibits including one in 2016 at the International Quilt Festival in Houston. Many of her art quilts have been included in SAQA exhibits which travel for several years to quilt shows, art centers, and museums, both nationally and internationally. Her work has been included in each of the 9 juried and invitational exhibits with Dinner@Eight Artists. 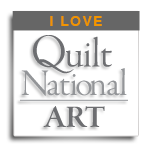 She has been published in Quilting Arts Magazine, including the cover multiple times. Her work appears in numerous quilting books including: 500 Art Quilts, Creative Quilting: The Journal Quilt Project, Lone Stars: a legacy of Texas Quilts, 1986 - 2011,and Modern Quilts: Designs of the New Century. Kathy's love of modern quilts began a few years ago with the formation of the Austin Modern Quilt Guild. Her modern quilts are best known for their originality, pattern, and color palettes. 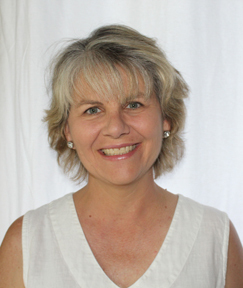 Kathy lives in Austin, TX with her 2 children. She can frequently be seen walking or riding her bicycle through the neighborhood ever watchful for the next inspiration. all the fishies - Finalist, Husqvarna-Viking Masterpieces: Color, Couleur, Colore, Kulor!